The Chamber of Commerce it is a key agent for change in the community. 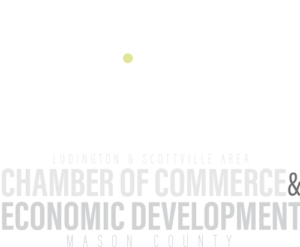 Beyond businesses communication and connectivity within our community, the Chamber is involved in economic development initiatives, supporting tourism, educational improvement, legislative advocacy, community event administration, and networking for our members and the Mason County community. Membership in the Ludington & Scottville Area Chamber of Commerce is one of the best business decisions a company can make. 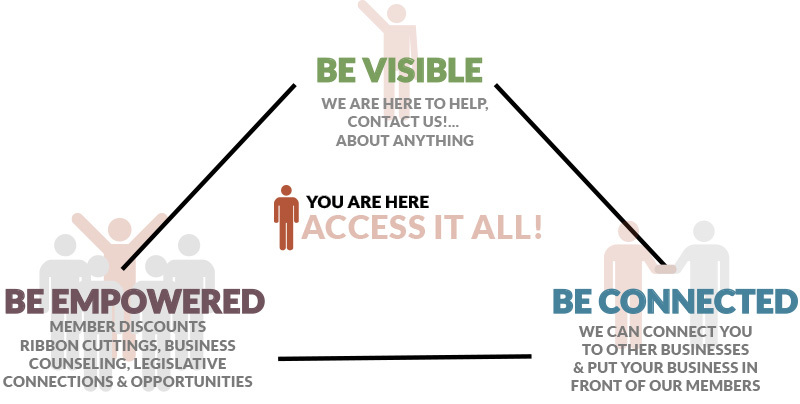 We invite you, as consumers and business members, to support one another in membership. Free listing and website link on the Chamber website. Free listing in the Chamber’s membership directory, a resource guide for doing business locally. Additional advertising opportunities available with members-only pricing. Free listing in the Chamber’s Relocation Guide, a valuable community resource guide for those considering or new to Mason County. Additional advertising opportunities available with members-only pricing. Members referred first in response to all requests for information on specific goods and services. Members are encouraged to display their business brochures and flyers in the Chamber lobby. It’s a great way to keep staff and the community informed about your business. Submit announcements and news about your business for the Chamber to highlight for you in the weekly electronic updates and the bi-monthly printed newsletter. Share and take advantage of special promotions, sales, and coupons with the community on the Hot Deals page of the Chamber Website. The Chamber offers numerous opportunities, at a variety of levels, for members to market their business through event and program sponsorships, ads in Chamber publications (the Relocation Guide, Membership Directory, and Regional Map Guide) and on the Chamber website. Check with your local insurance agency on potential discounts offered to Chamber of Commerce members. The Chamber’s membership mailing labels are provided to member businesses and organizations for a nominal fee. Confidential business counseling and resources are available through SCORE (Counselors to America’s small business) & SBDC (Michigan’s Small Business Technology & Development Center). Promote your new location or business expansion or anniversary with a ribbon cutting ceremony. The Chamber offers free relocation guides that businesses can offer to their customers, clients or prospective employees. The Chamber makes available an annual brochure listing community events for the coming year. The Chamber offers assistance to members in connecting to legislators to address business questions and concerns. The Chamber publishes an electronic newsletter on a weekly basis and a printed newsletter bi-monthly to help keep members “in the know” regarding local business and community news. Every month the Chamber produces, prints, and distributes The Chamber’s Business Intelligence Report. This report provides business professionals with informative and interesting articles and industry news. Find the Chamber on Facebook to stay connected and interact with us on a daily basis.